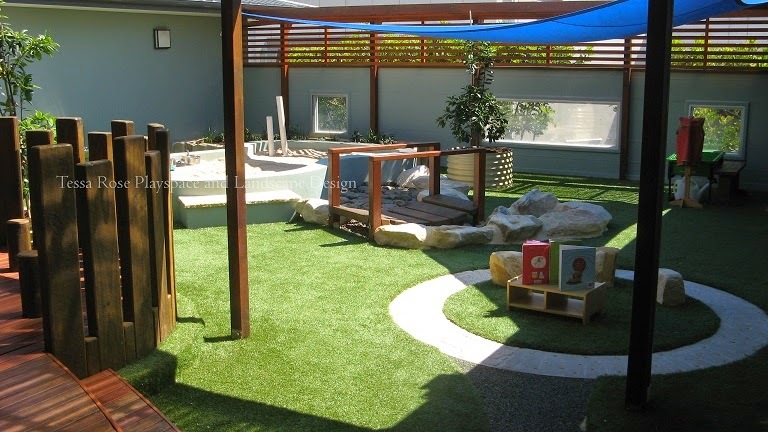 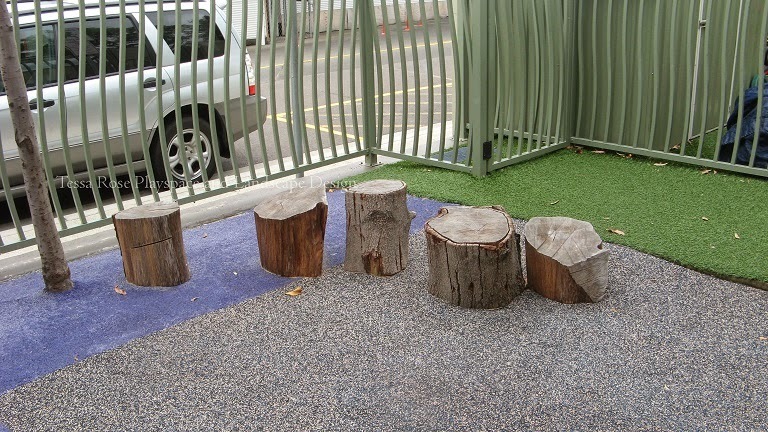 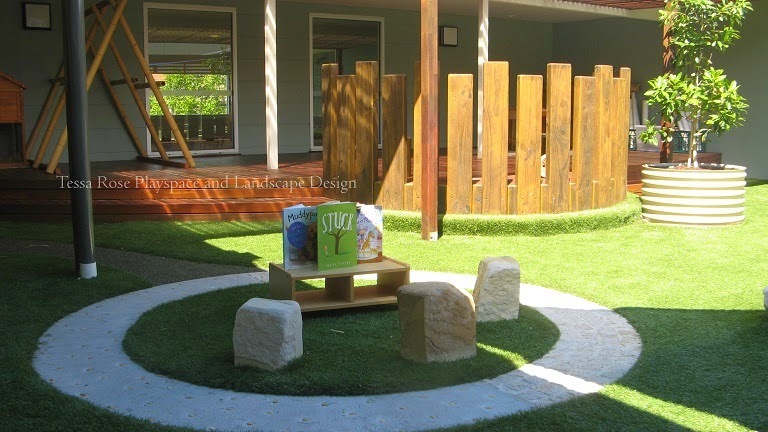 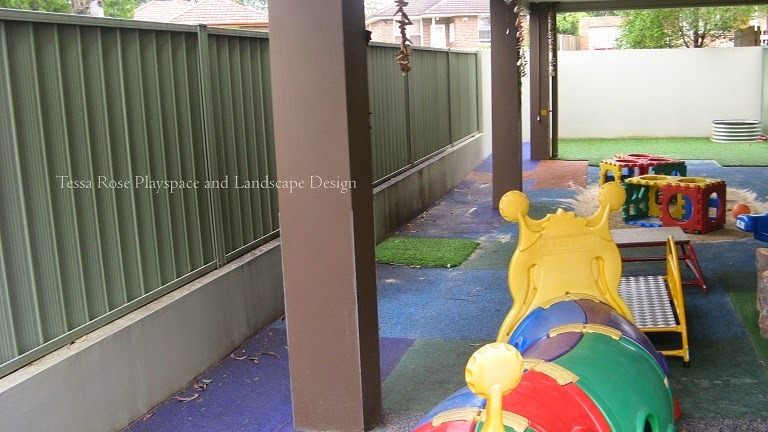 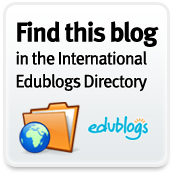 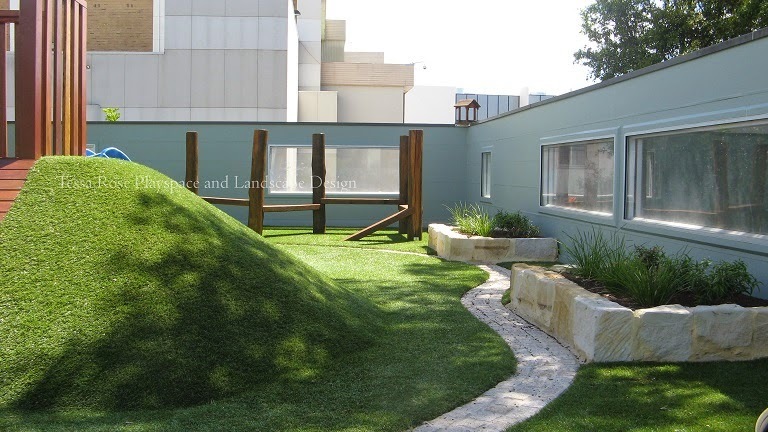 'The Tree House Early Childhood Centre is an architecturally designed, purpose built early learning centre catering for children from 6 weeks to 5 years.' 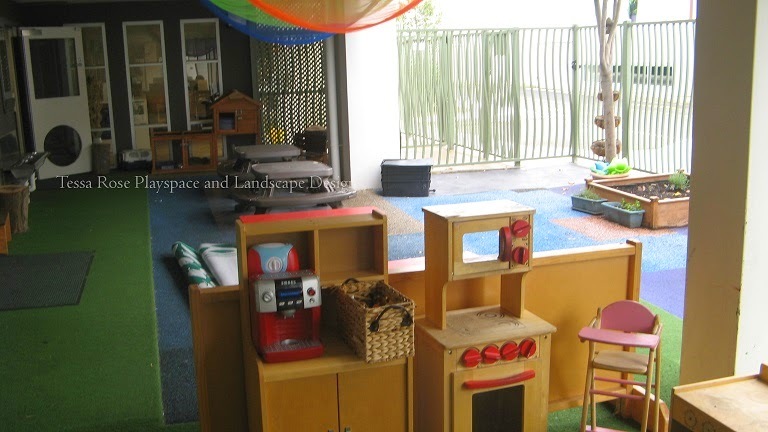 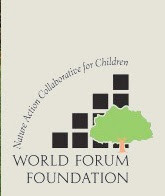 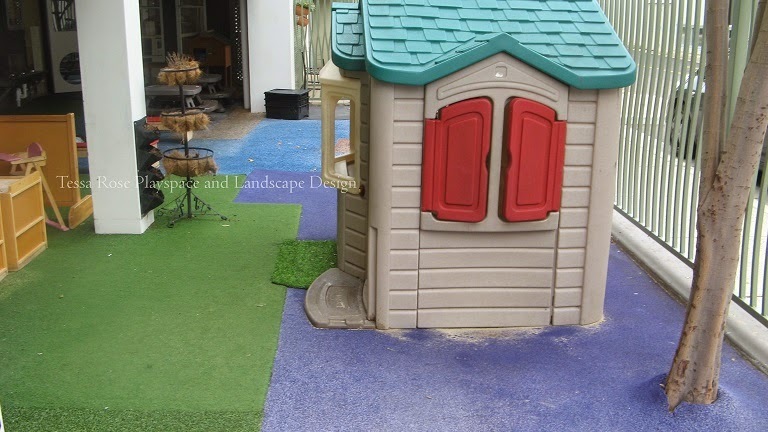 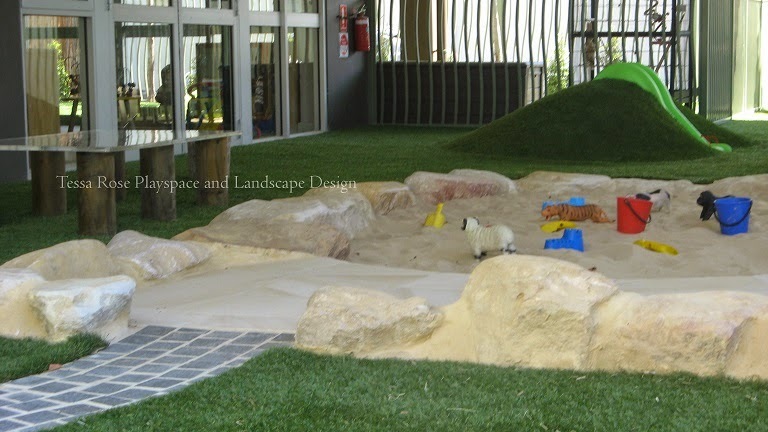 The Centre has four separate playspaces spread over two different levels. 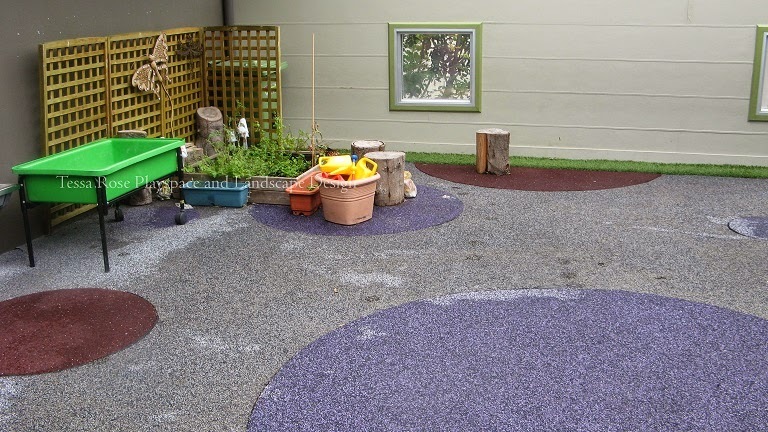 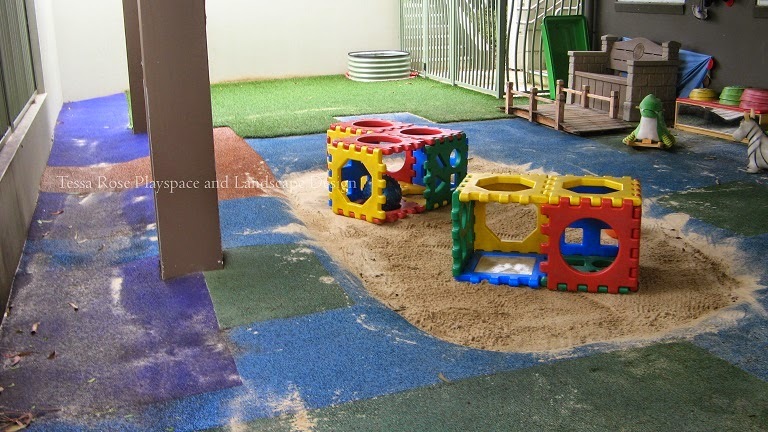 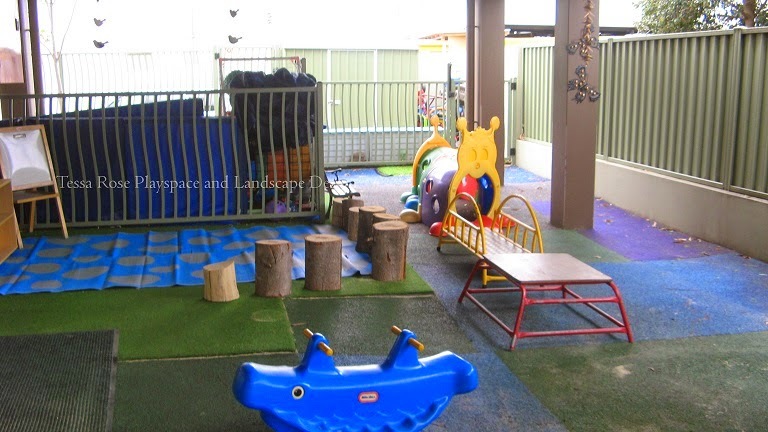 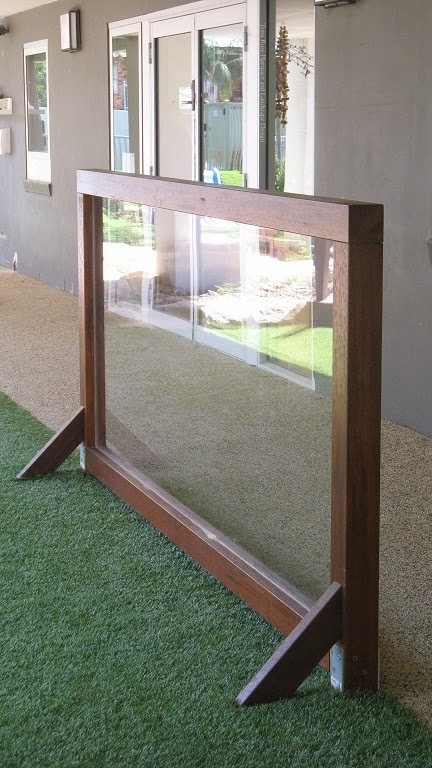 The playspaces were new when the Centre was opened 5 years ago but were degraded and in need of A LOT of TLC. 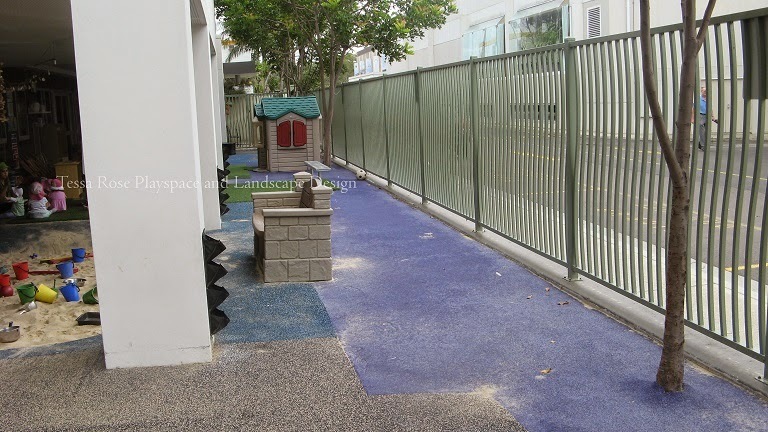 In addition, there were with problems with drainage and the base waterproofing had failed. 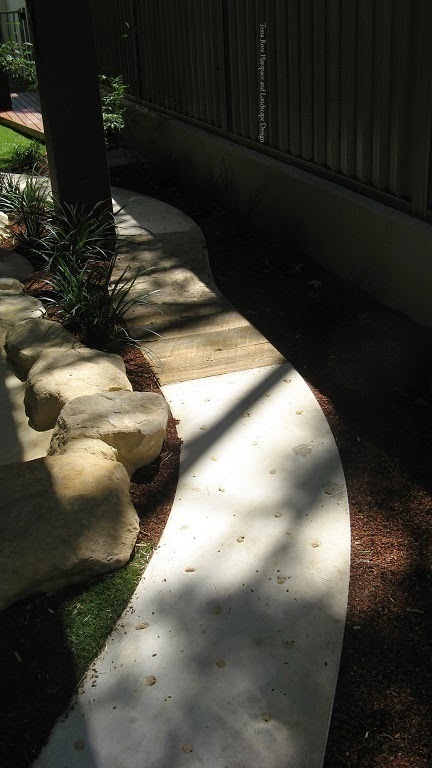 After removing the old surfacing and installing drainage cells, new surfacing, replete with sub-soft fall where required, was installed. 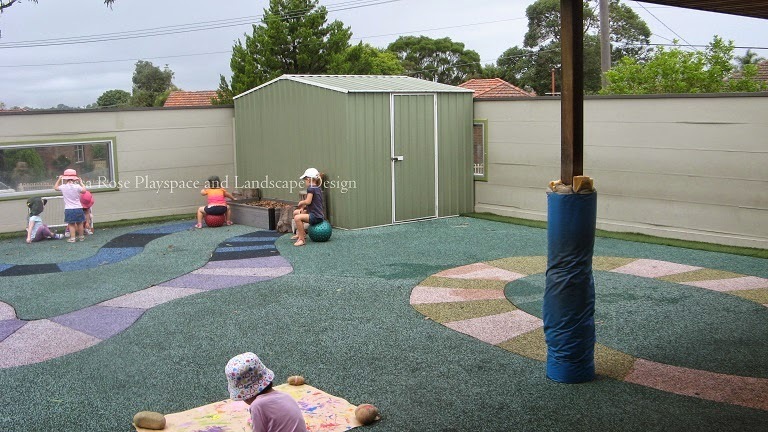 The upper areas were divided into Active and Passive play areas. 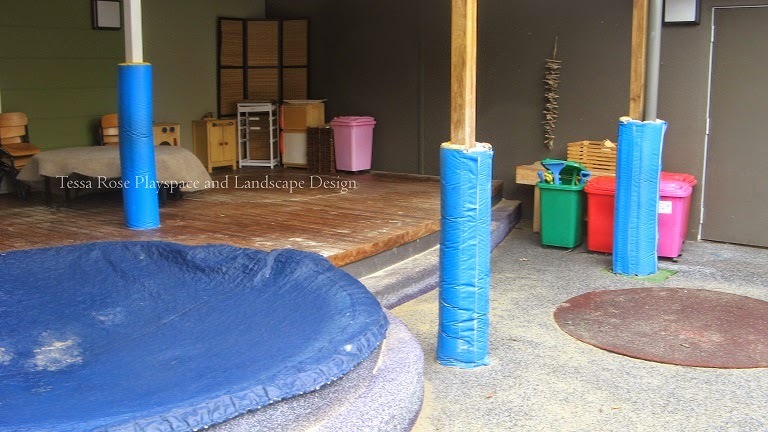 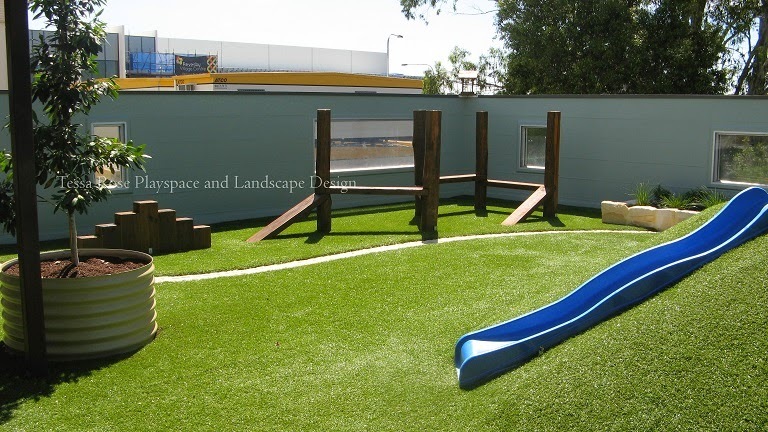 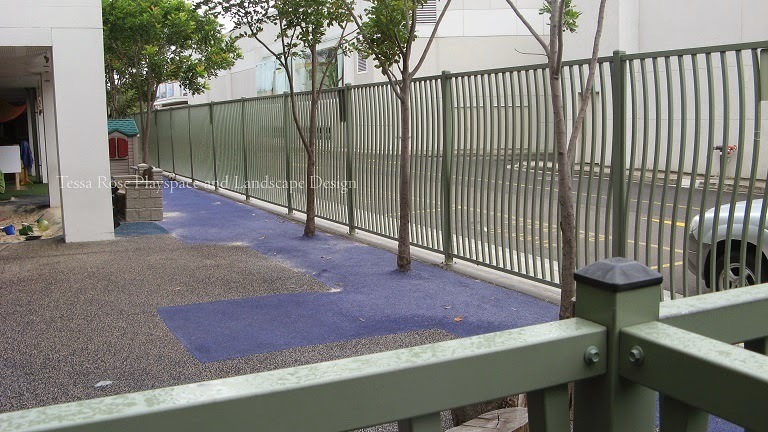 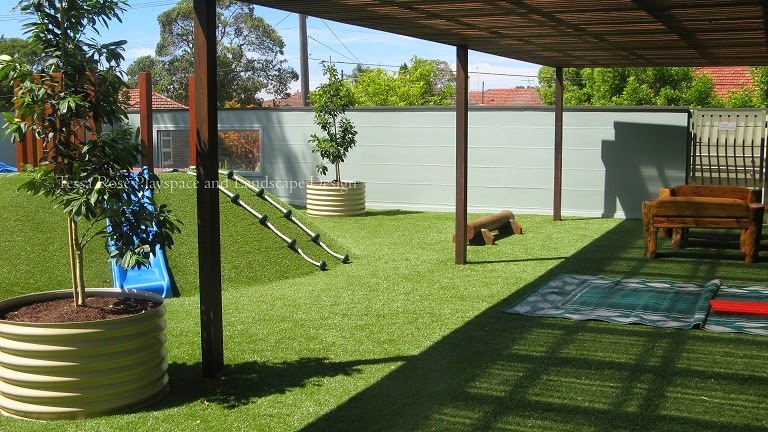 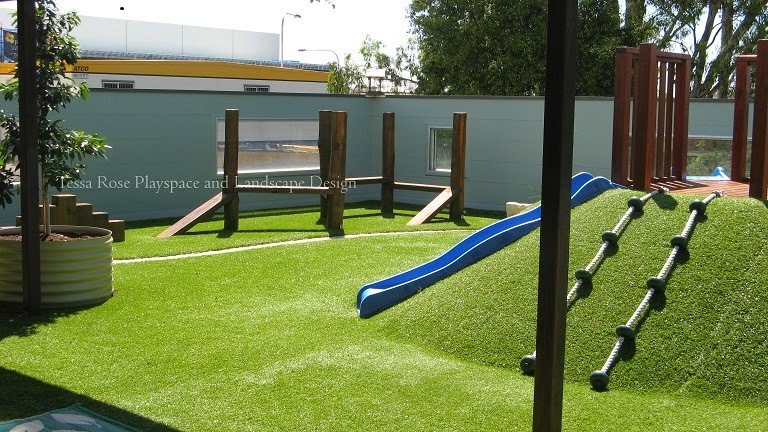 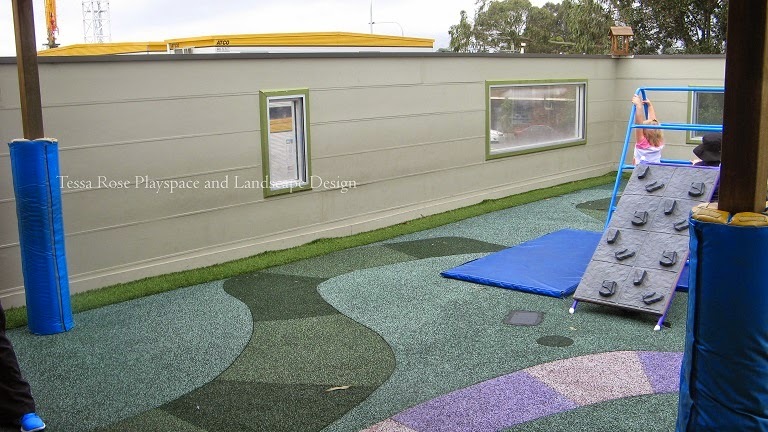 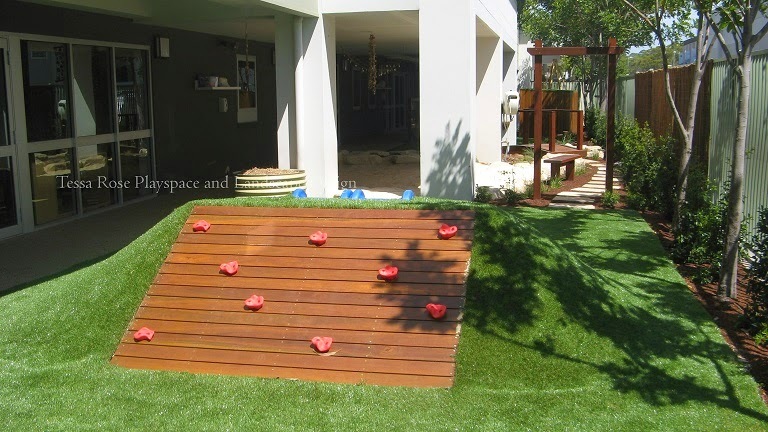 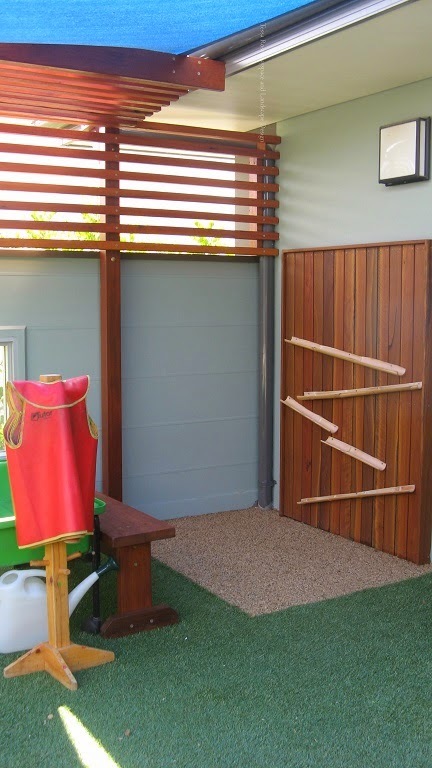 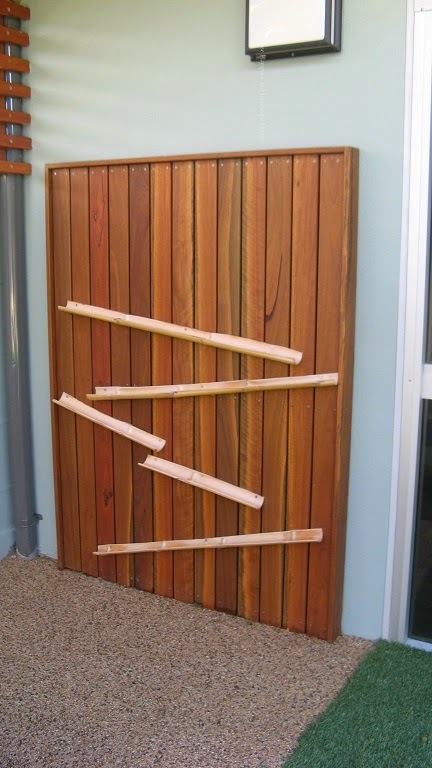 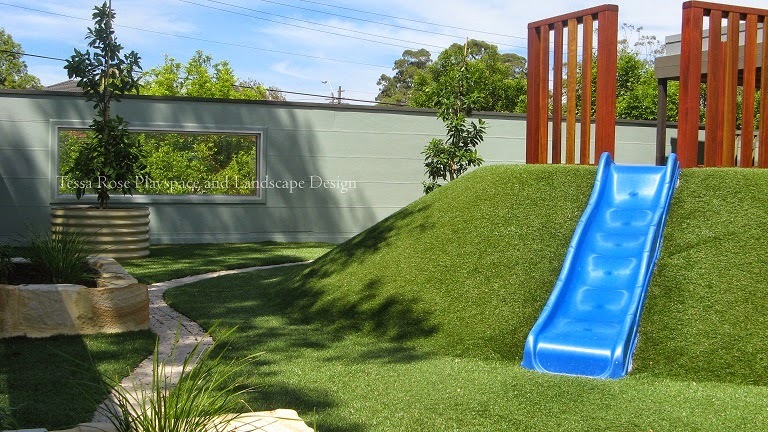 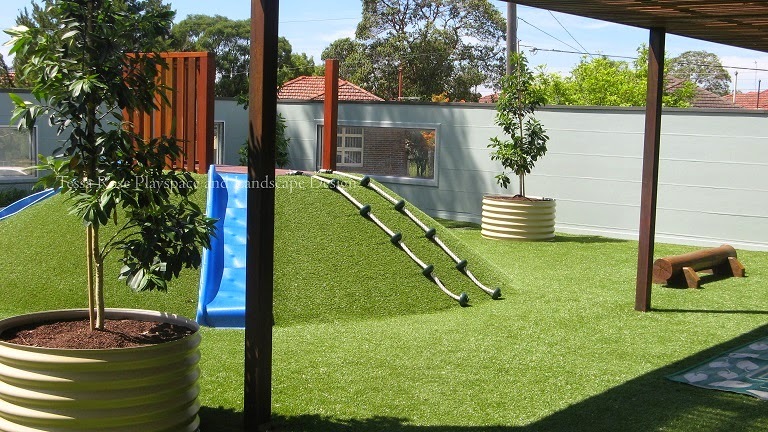 The Active area has a mound complete with slide and a climbing wall and an elevated balance beam. 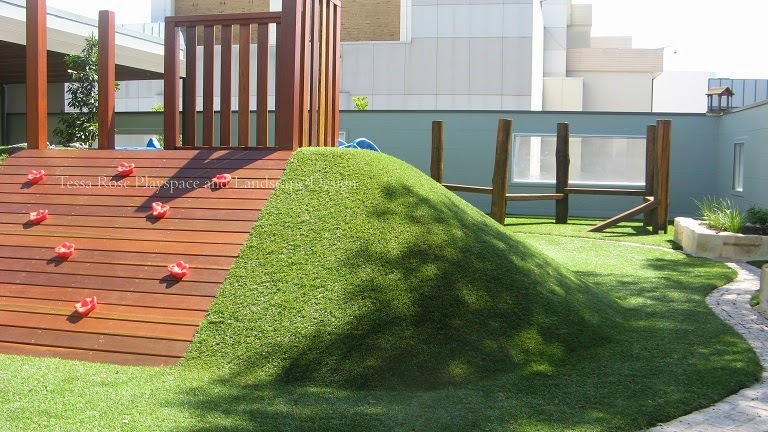 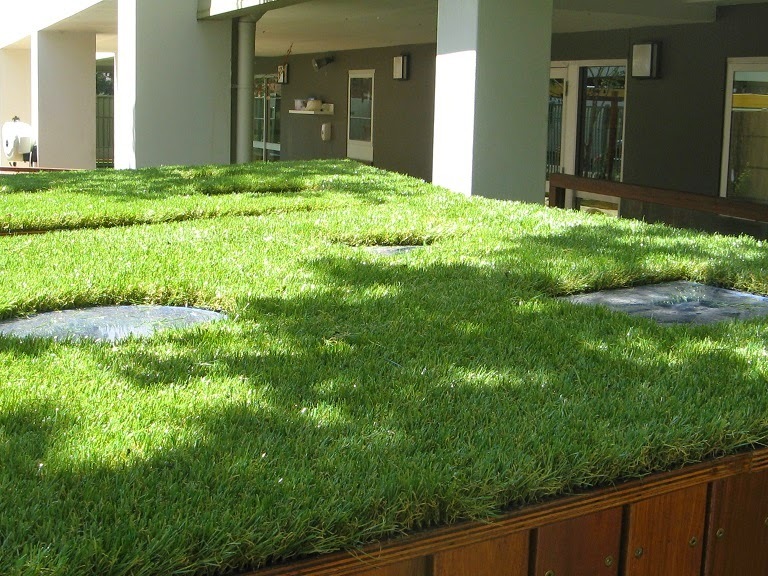 Because the playground is on an upper level the mound was specially constructed with light-weight materials. 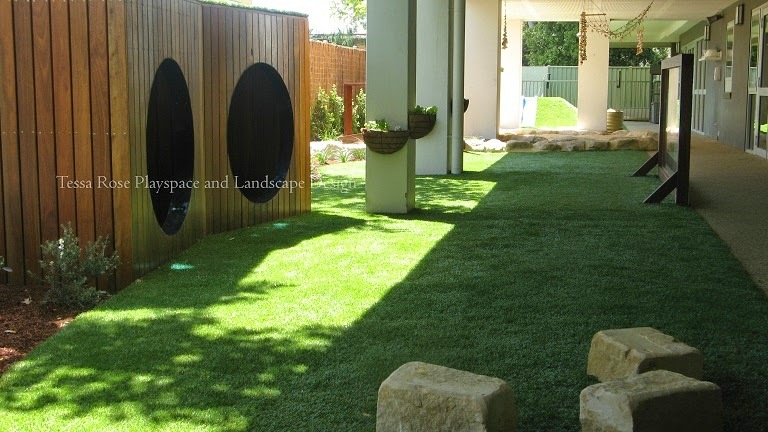 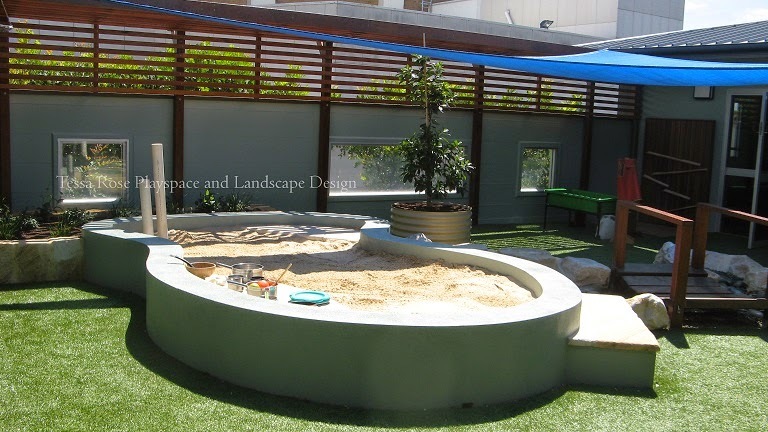 The passive area has an elevated smooth concrete sided sandpit (the elevation was required because of an inability to cut into the existing suspended slab and to meet the current regulations for a 500 mm depth) with a sandstone step and sandstone building platforms. 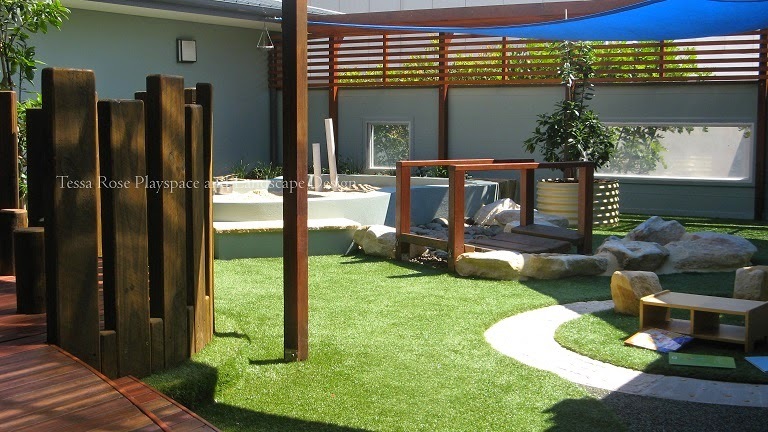 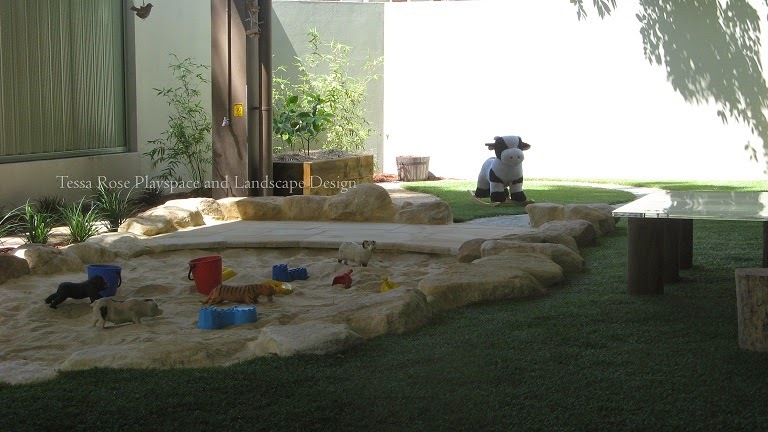 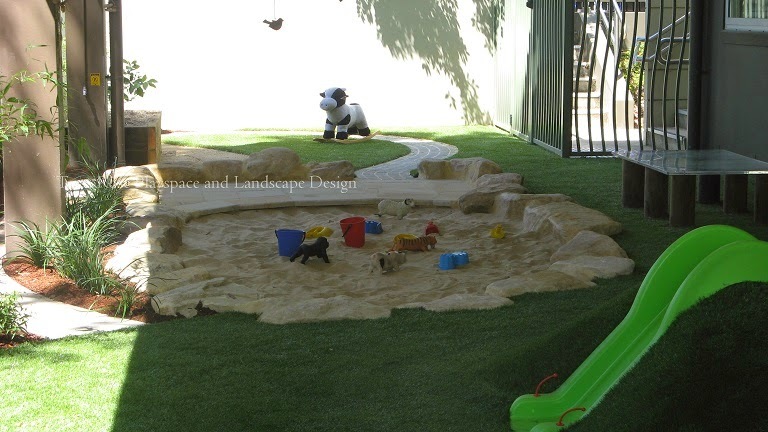 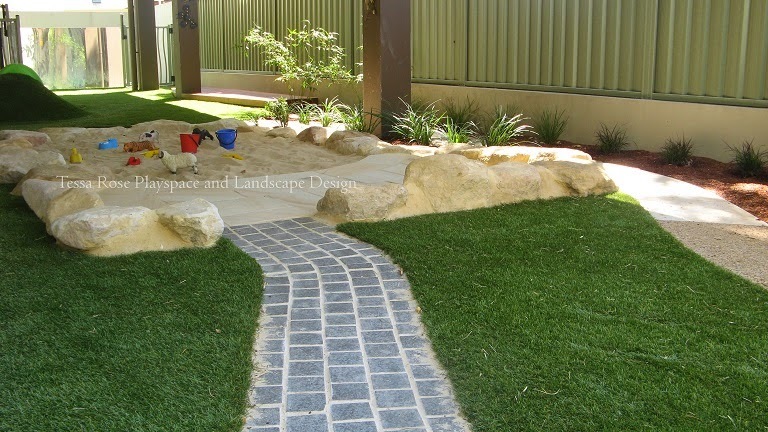 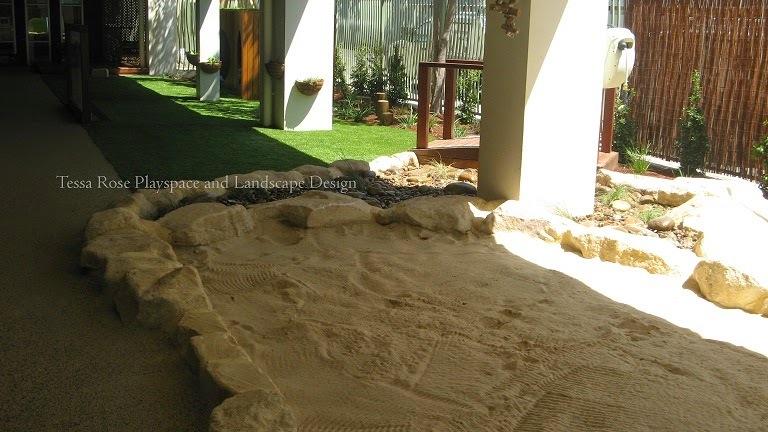 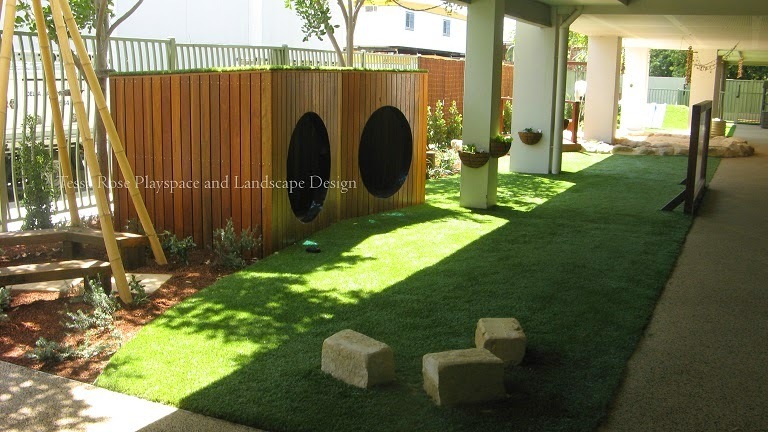 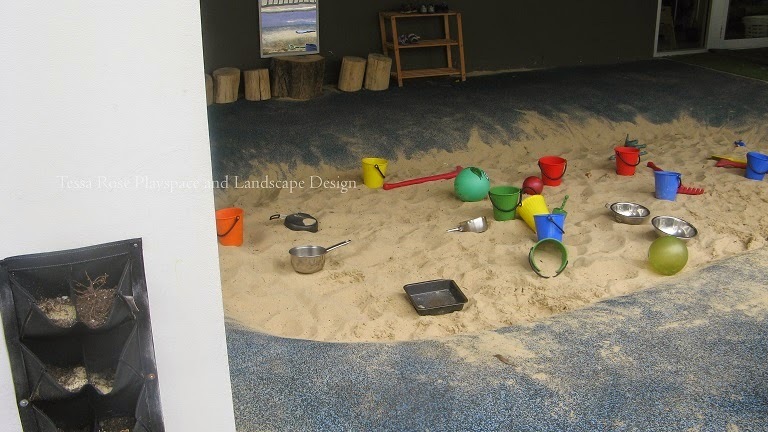 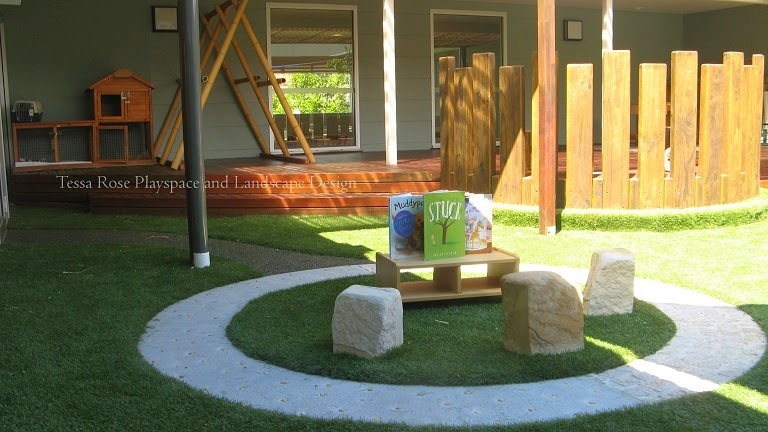 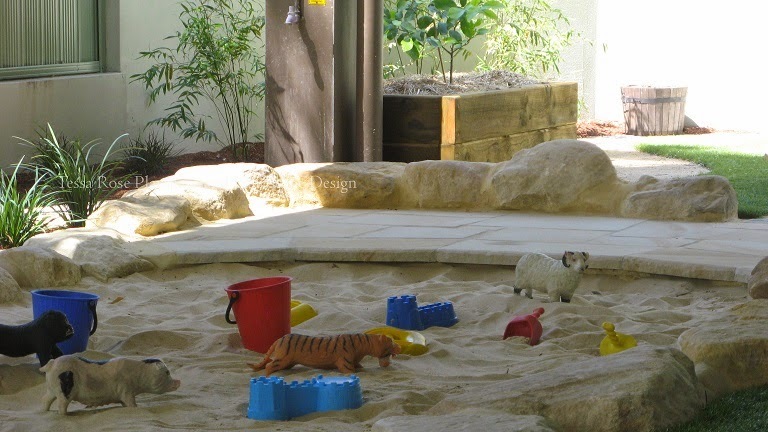 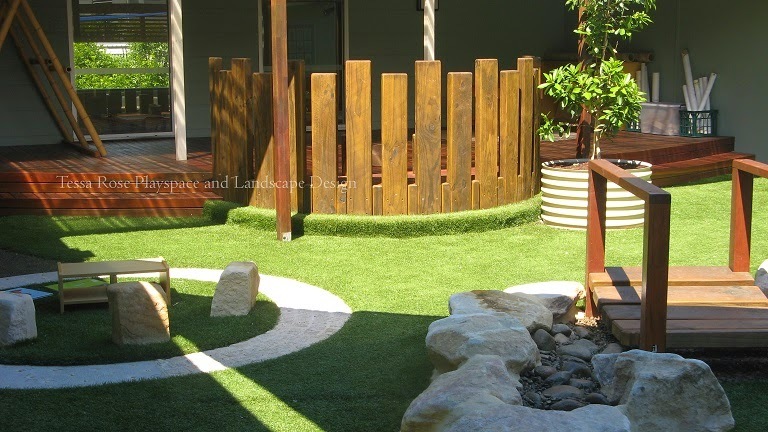 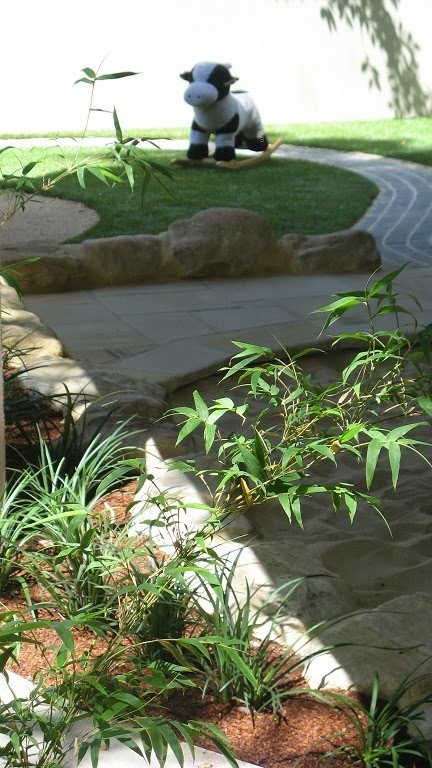 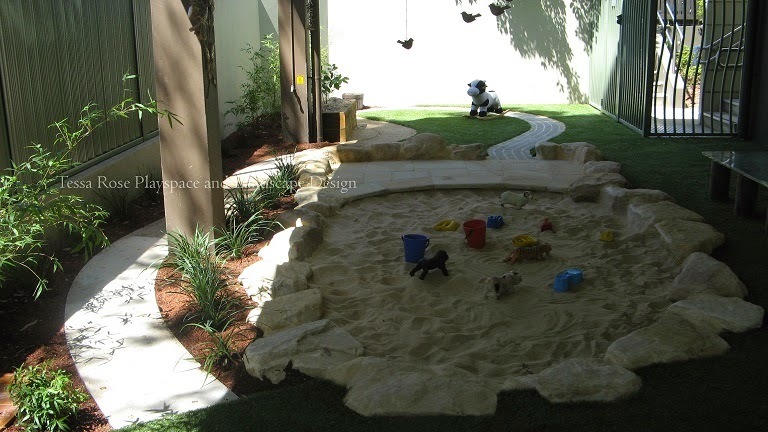 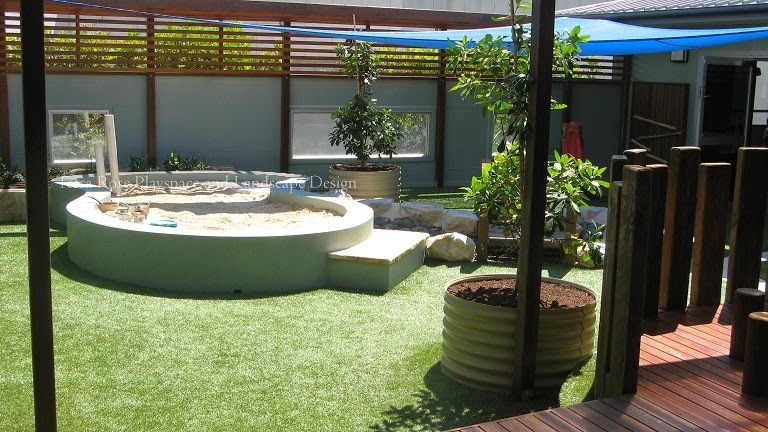 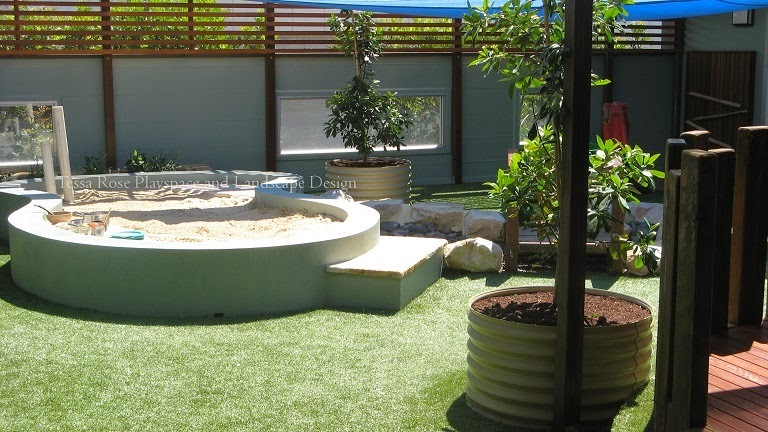 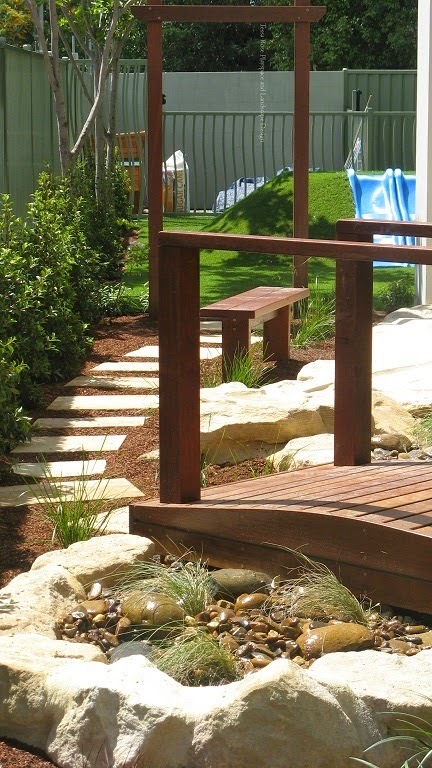 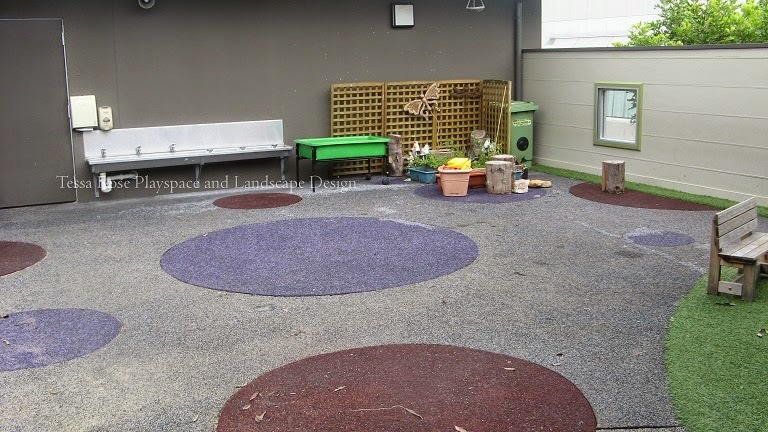 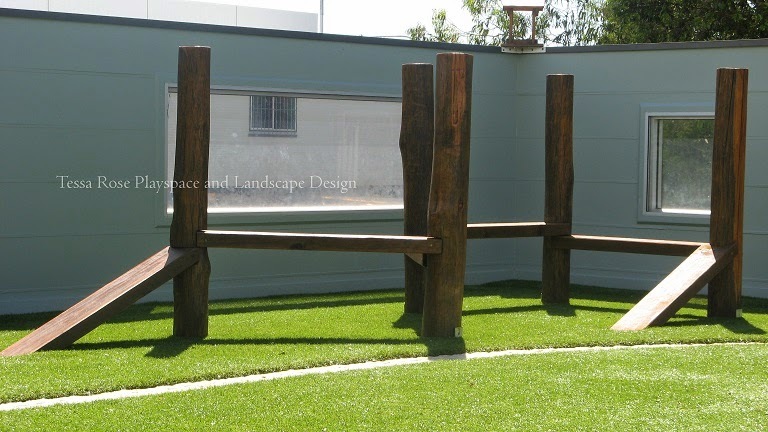 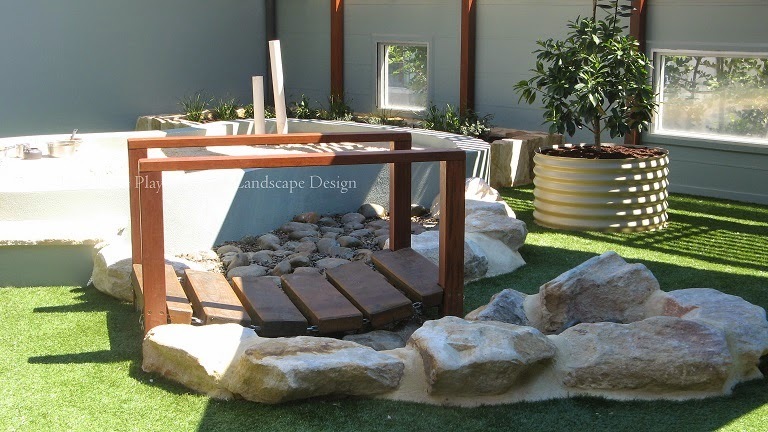 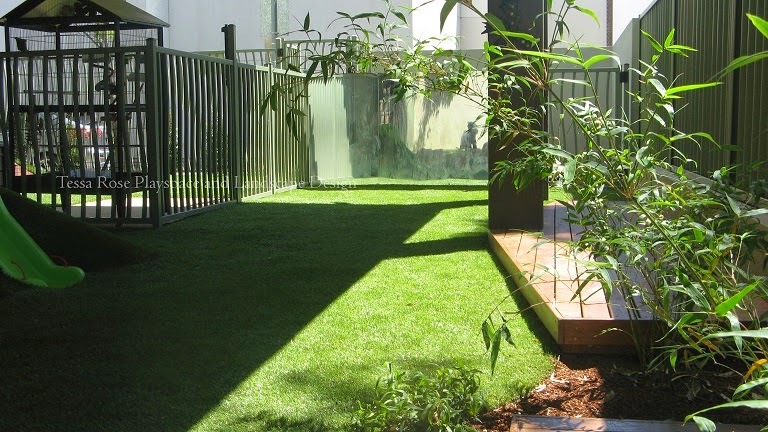 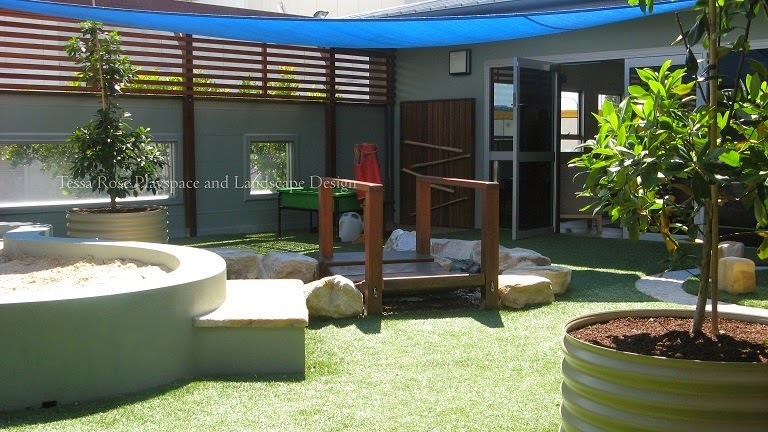 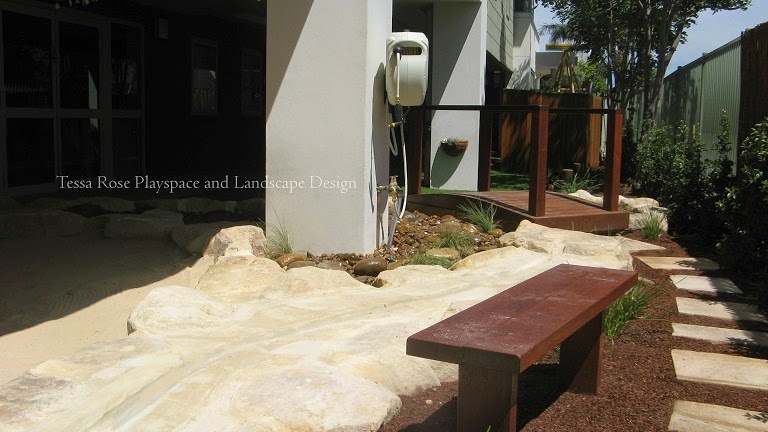 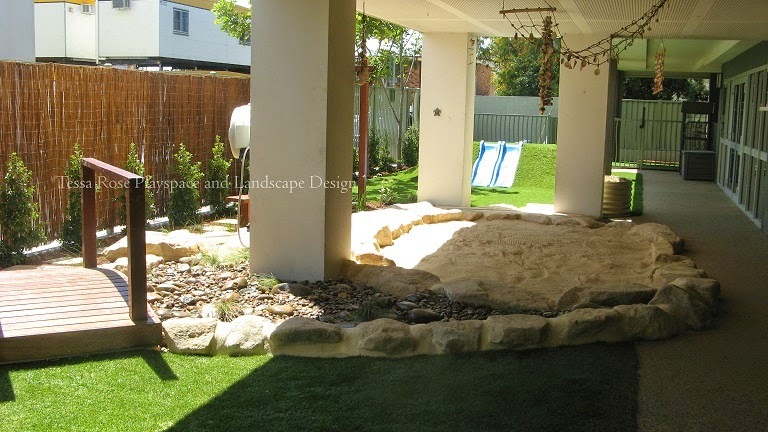 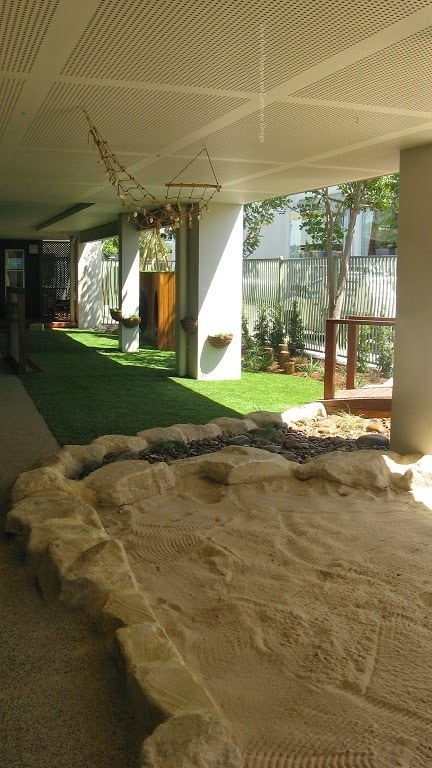 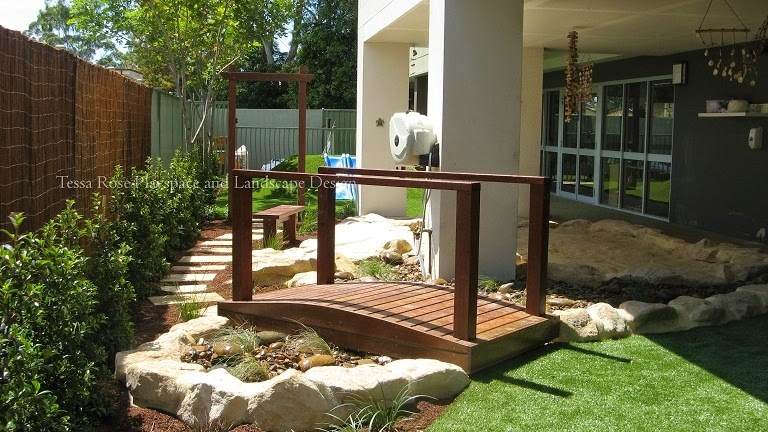 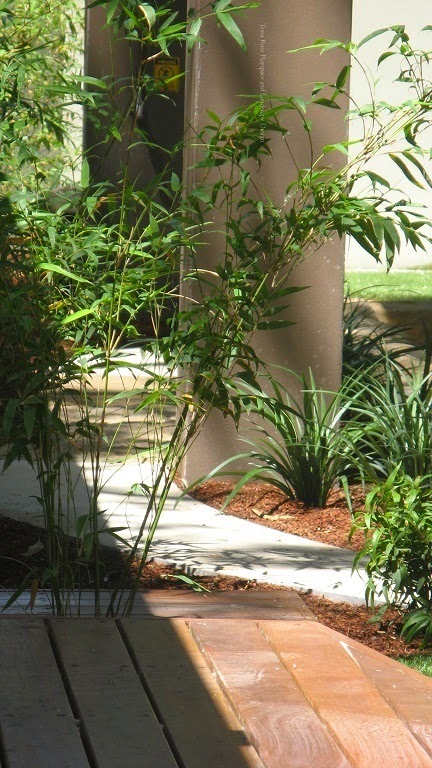 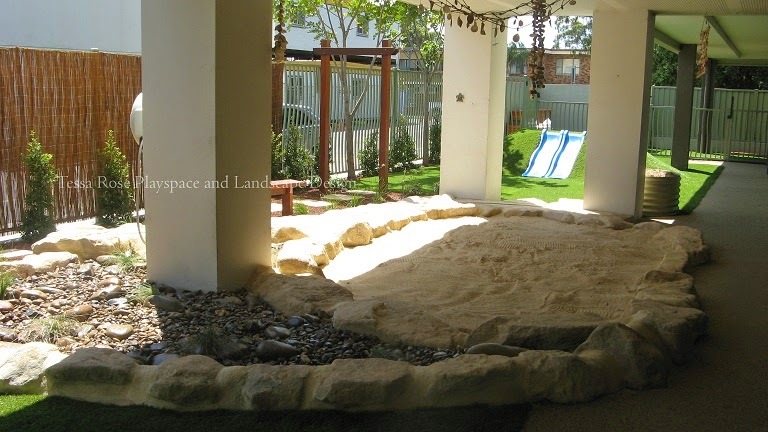 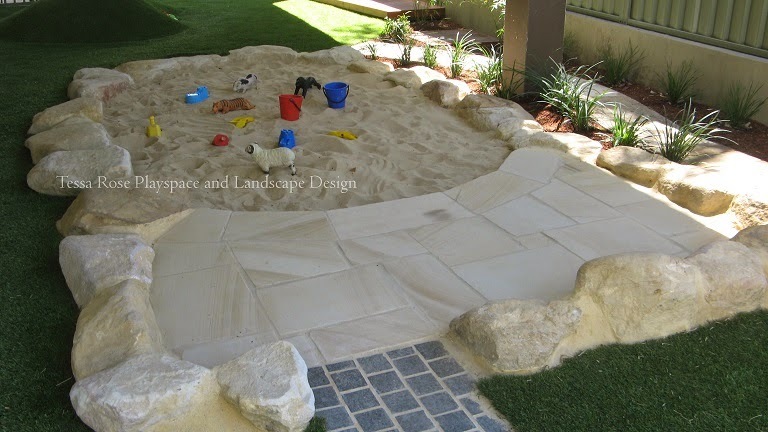 Attached to the sandpit is a small dry creek bed with native plantings and a rattle bridge, which leads to a small "yarning circle"/small group area. 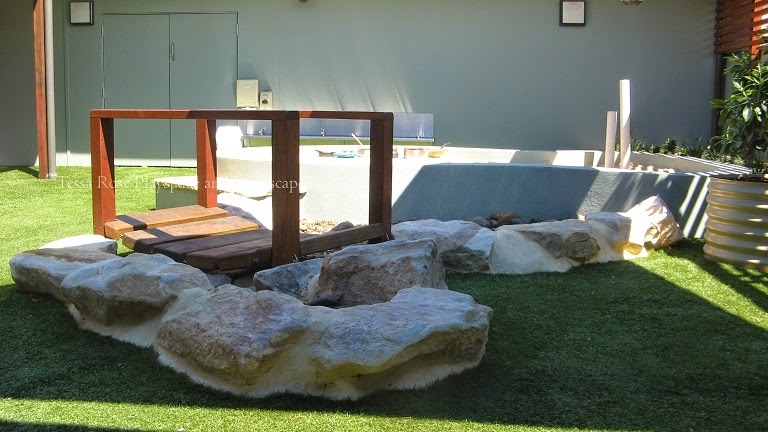 A water wall/ball run was included under the lean-to against the outside wall and there are drainage cells underneath permeable Stoneset fronting the area. 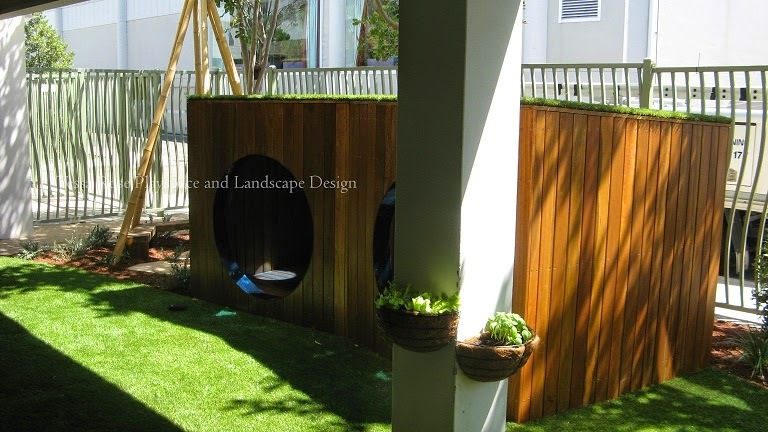 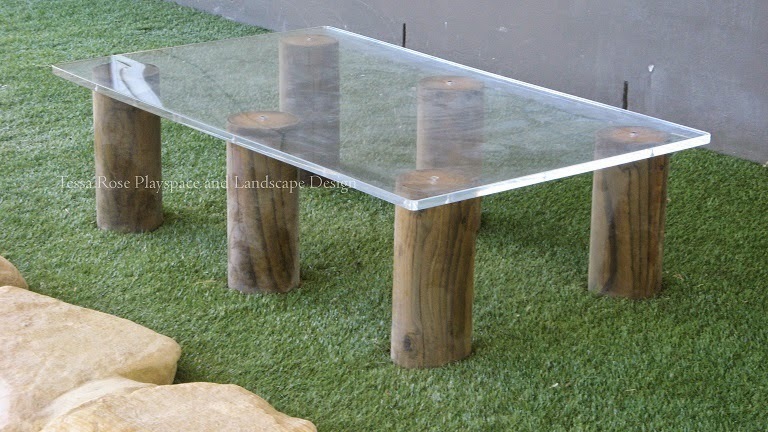 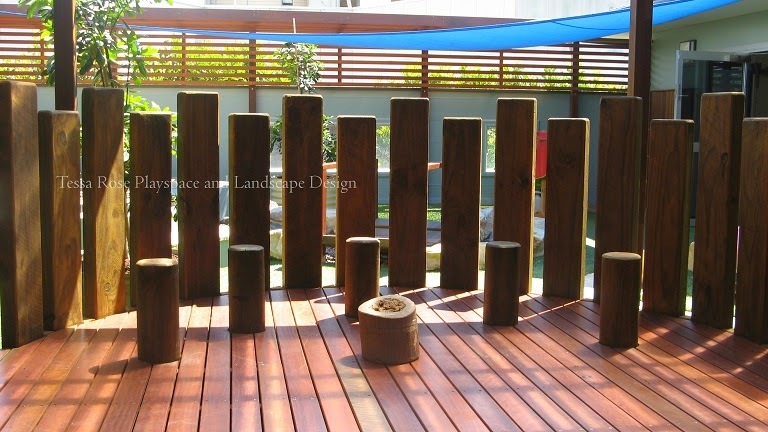 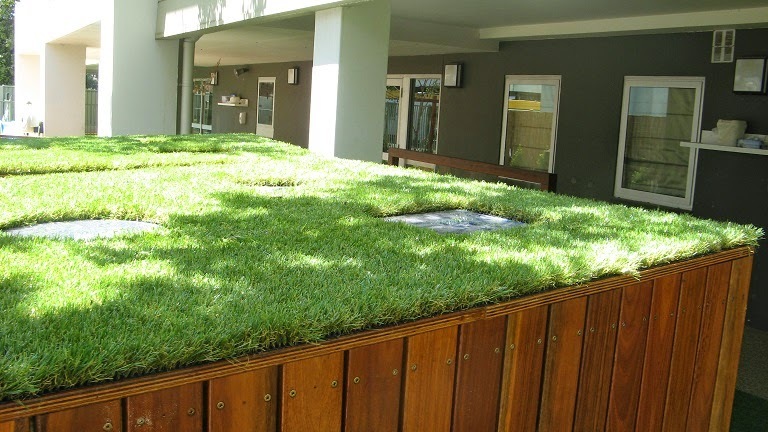 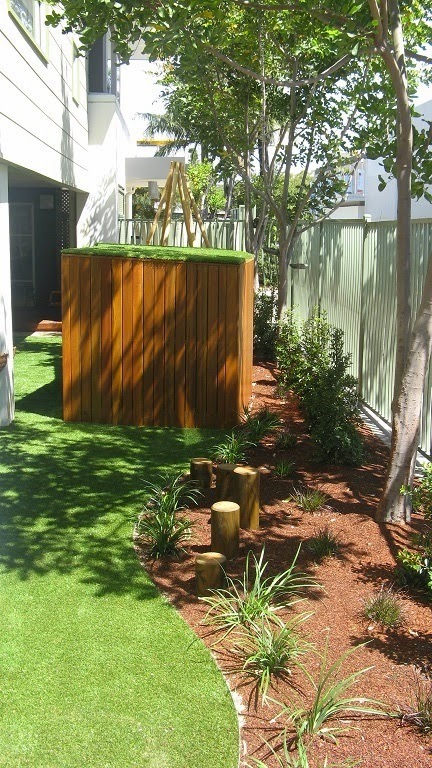 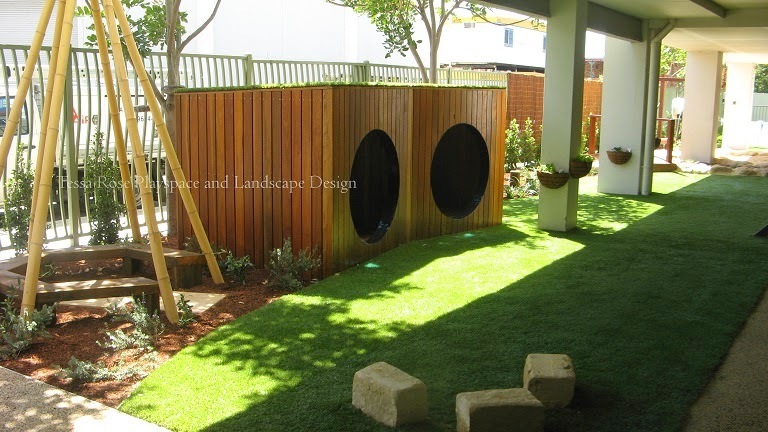 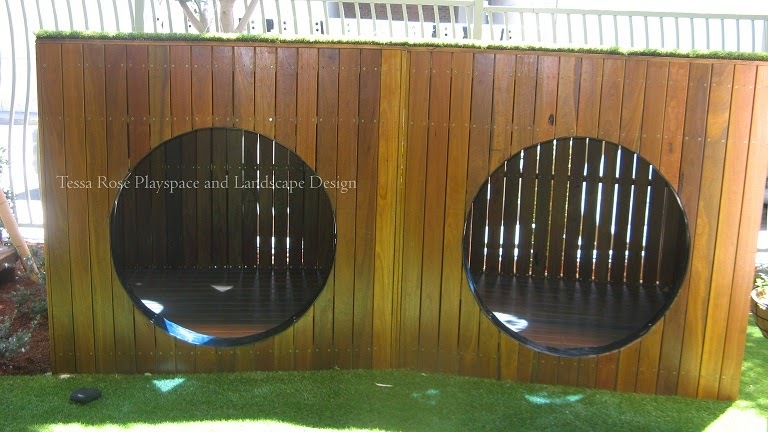 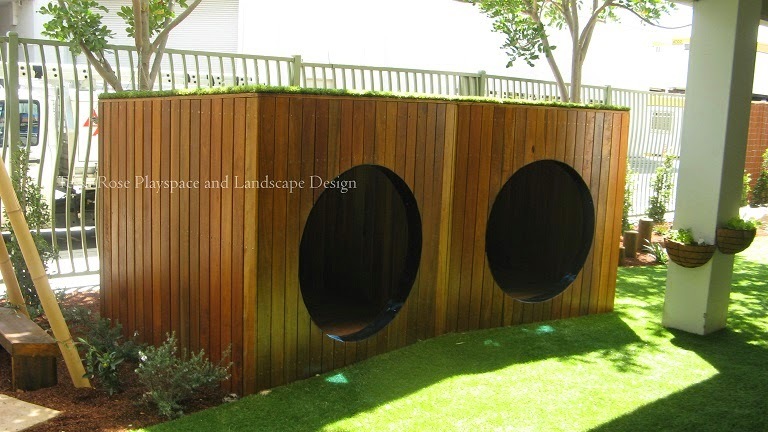 An additional small group area has been built within a semicircle of varied height timber screening on the deck. 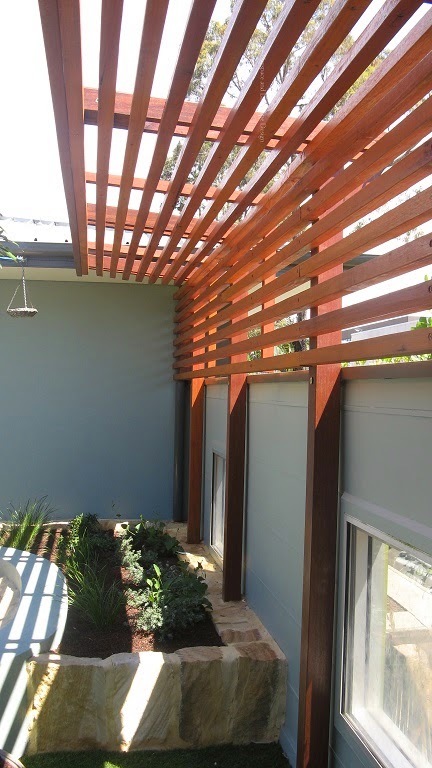 A number of trees were planted in planters throughout the upper levels to provide natural shade Viewing windows in the upper levels were retained and included in the lean-to which provides shade and will be a scaffold for climbers.